How Can You Make A Difference This October For 'Breast Cancer Awareness Month'? 'Breast Cancer Awareness Month' in an international health campaign lasting the month of October, with an intent to increase global awareness of breast cancer. In the United States the monthlong campaign is known as National Breast Cancer Awareness Month. The first organized effort to bring widespread attention to breast cancer occurred as a weeklong event in the United States in October 1985. Since then, campaigns to increase awareness of the disease, to educate people about methods of prevention and early detection, and to raise money to support research have extended to countries around the world. Today, nonprofit organizations, government agencies, and medical societies work together to promote breast cancer awareness. Globally, breast cancer is the most common cancer affecting women. In 2008 some 1,380,000 million new cases and 458,000 deaths were reported worldwide. Of all regions worldwide, North America has the highest incidence of breast cancer, and, overall, new cases of the disease are diagnosed more frequently in countries in developed regions of the world, such as North America and Europe, than in countries in impoverished regions, such as certain areas of Asia and Africa. However, differences in breast cancer incidence and death ratebetween developed and developing regions are due primarily to differences in the organization and financial state of health care infrastructures. The global disparities in screening and treatment, as well as the persistently high incidence of the disease on a global scale, have led to a significant increase in international interest in breast cancer awareness campaigns since the late 1990s. Throughout Breast Cancer Awareness Month, science forums, educational programs, and informational pamphlets and posters are used as means to disseminate information to the public. 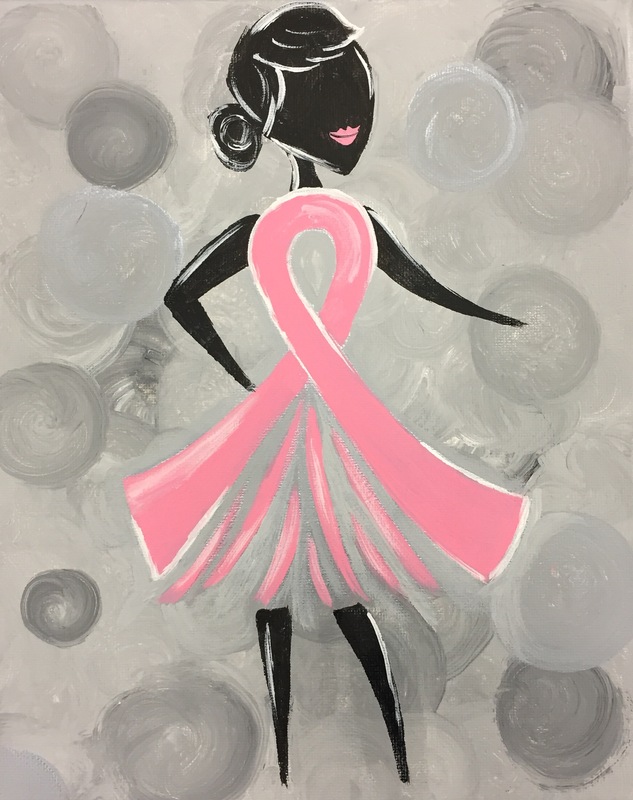 A number of special events are held as well, including National Mammogram Day in the United States, which focuses on the importance of screening and early detection of breast cancer. In addition, fund-raising activities, such as walks, runs, auctions, concerts, and other charity events, are held in countries around the world. The money collected by these events typically goes toward local, national, or international funding for breast cancer research. Scientific conferences and meetings of international cancer organizations also may be scheduled in conjunction with awareness campaigns. * About 266,120 new cases of invasive breast cancer will be diagnosed in women. * About 63,960 new cases of carcinoma in situ (CIS) will be diagnosed (CIS is non-invasive and is the earliest form of breast cancer). * About 40,920 women will die from breast cancer. * While black and white women get breast cancer at roughly the same rate, the mortality rate is 42% higher among black women than white women. - Numerous studies have confirmed that alcohol consumption increases the risk of breast cancer in women by about 7%-10% for each one drink of alcohol consumed per day on average. Women who have 2-3 alcoholic drinks per day have a 20 percent higher risk of breast cancer compared to non-drinkers. - Obesity increases the risk of postmenopausal breast cancer. Risk is about 1.5 times higher in overweight women and about 2 times higher in obese women than in lean women. - Limited but accumulating research indicates that smoking may slightly increase breast cancer risk, particularly long-term, heavy smoking and among women who start smoking before their first pregnancy. So, what can YOU do to contribute to this cause, this month, and all throughout the year? If you've never heard of them before, Pinot’s Palette offers some very special events called, ‘Painting It Forward’ classes. These are a paint and sip class with an extra dose of heart and soul. When you buy a seat in a Painting It Forward class, you're making a donation to a nonprofit or community fundraiser. This month, we’re offering 2 PIF classes (+one at the beginning of November) that we’d love for you to attend. Our 160+ locations, Nation-wide, have raised a to of money for various Breast Cancer Research organizations, among many other ones, and we’d love for you to join us for some of them! Be sure to tell all of your friends and family, as the more seats we fill, the more money we raise! We hope to see you soon, and from everyone here at Pinot’s Palette-Naperville, we wish you a wonderful month, full of love, beauty, and self-health awareness.